Those looking for a quick satirical con caper laced with relationship drama will enjoy this romp. 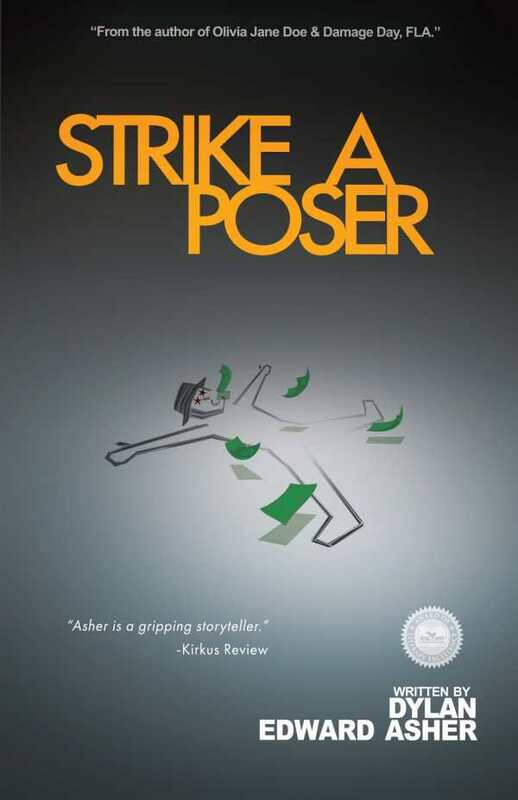 Dylan Edward Asher’s Strike a Poser is a successful combination of crime caper, humor, and social satire, as it simultaneously spoofs the consumerism of theme parks and conventions of the heist genre. Amid Florida’s colorful tourist traps, professional swindlers Jack and Olivia and their cohorts plot to bamboozle a developer, Jerry, out of six figures. Switching the limited third-person point of view between the swindlers and Jerry, the novel twists and turns to keep audiences guessing until the last page. The mystery is not who commits the robbery, but rather how the con gets carried out. Besides the hilarious plan (which involves Jerry thinking it is still Monday when it’s in fact Tuesday), the book offers plenty else to enjoy. Asher deftly nails the ethos of tawdry amusement parks when Jack snidely remarks, “No reality here. Can’t disrupt the illusion.” Later, one of Jack’s fellow con men bemoans taking his son to various theme parks: “See, all day, we’ve been riding these elaborate, huge rides. The ones in Enchantment Land. Rides like Shaft Blaster. Planet Blaster. … But then, end of the day, we end up in Planet World.” Anyone who’s been to such a venue can appreciate similarly-named rides and the ingenious redundancy of a place called Planet World. Jack and Olivia have a complicated history, and the use of alternating viewpoints effectively demonstrates how each of them struggles to interpret the other’s actions, wondering what is real and what their minds are manufacturing. The pair’s thoughts cleverly reinforce the theme of illusion illustrated by the ridiculously overblown parks. Their musings are highly relatable as they find themselves obsessing over the significance of a glance or a smile, wondering if their old attraction remains. Although sixteen years separate Jack and Olivia, Asher refreshingly develops their relationship as one between equals, rather than choosing a weird father-daughter dynamic. The energetic phrasing and realistic dialogue keep the story chugging along. While the profane diction and lobbing of insults at one another is established at the outset, the repeated use of the word retard to describe someone outside the hustlers’ circle is cringe-worthy. Using this word, however, does not detract from evocative descriptors such as “whip of [Olivia’s] dark hair and a demolishing grin,” and “[Olivia’s] life-shift onto the grift.” Speaking of grift, having the characters use heist-specific terminology like mark and take adds to the story’s realism. Those looking for a quick satirical con caper laced with relationship drama will enjoy this romp.